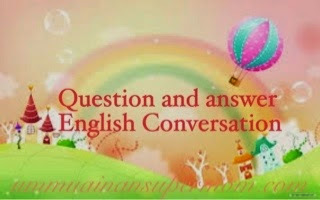 Hidup Simple Luar Biasa: Oh My English #2 How Was Your Vacation? Oh My English #2 How Was Your Vacation? 1. How was your vacation? • It was very fun. 2. Where did you go? • I went to the beach. 3. Who did you go with? • I went with my father, mother and older sister. 4. Do you have a house at the beach? • No, we stayed at the hotel. 5. Which hotel did you stay at? • It's called The Imperial. 6. Have you stayed there before? • Yes, we have been going there for years. 7. It must be very nice. • Yes. It is very nice and not too expensive. 8. Did you play in the water? • Yes, I went swimming and I rode the banana boat. 9. How about your older sister? • She does not like the water. She likes to sit on the beach and read a book. 10. What do your mother and father like to do? •They like to eat in the restaurant. 11. How long was your vacation? • 3 or 4 days. 12. Will you go again next year? *jumpa esok ye anak murid hehe.